It’s not cold yet but its also not hot. So, what type of outerwear do you wear when the weather is in between seasons. A blazer. 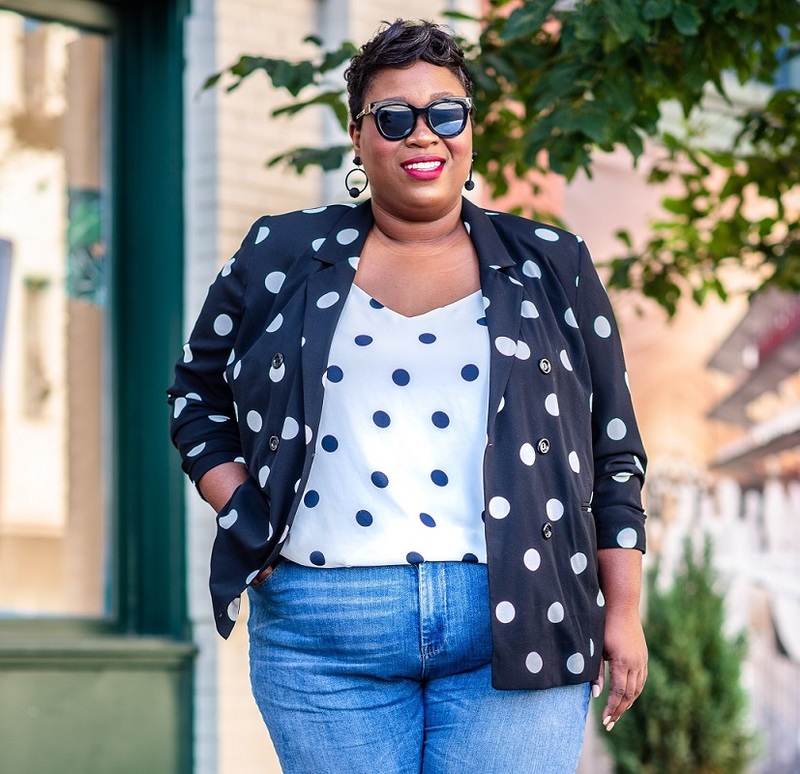 Plus size blazers have reached an underrated state in fashion. Mainly because for the past couple of years, kimonos and capes have reigned supreme. This year we are championing for blazers to be your outerwear of choice for a modern look. 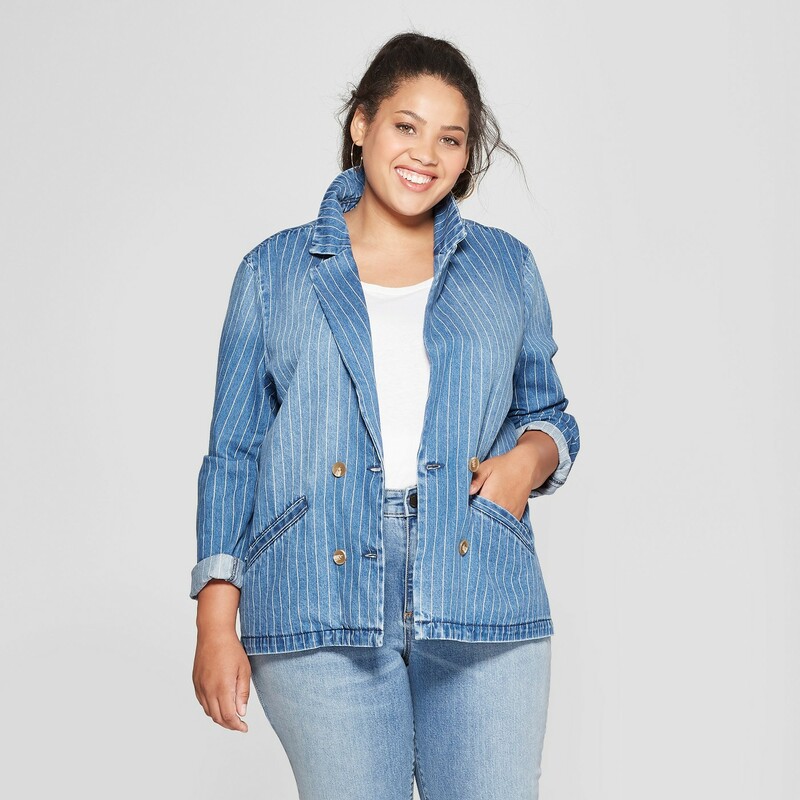 You have to admit that a blazer, tee, and denim mix is a recipe for a chic look. It’s one of those ensembles that take you less that 10 minutes to put together and you end up looking amazing. When talking about must have wardrobe staples, especially for fall, a blazer has to be on the list. This year blazers have gotten a trendy upgrade but not in a cheesy way. 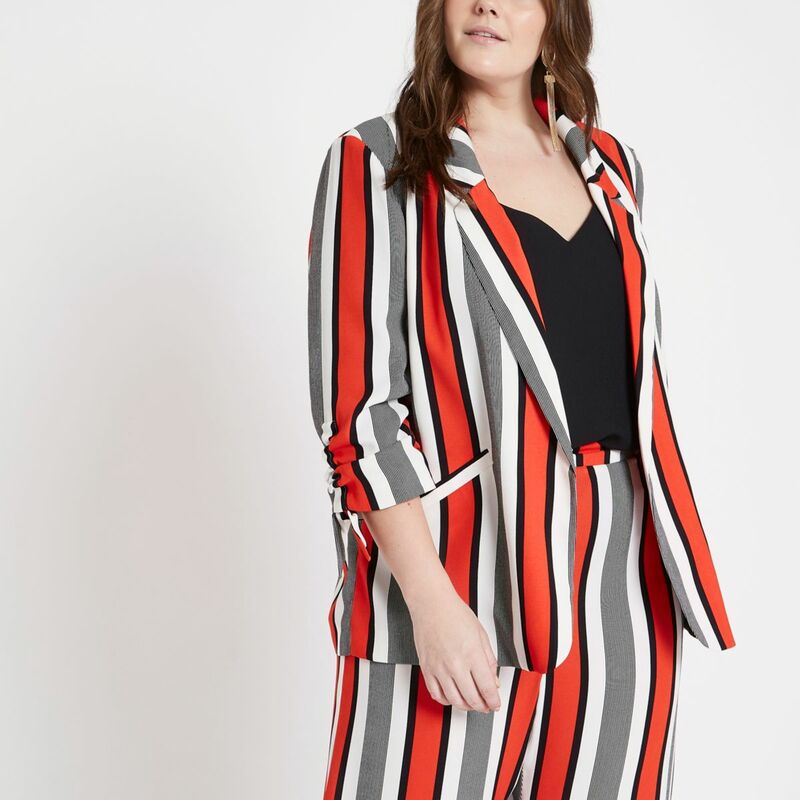 What’s even better is that plus size brands are producing some serious stylish blazer options that are hard to resist. 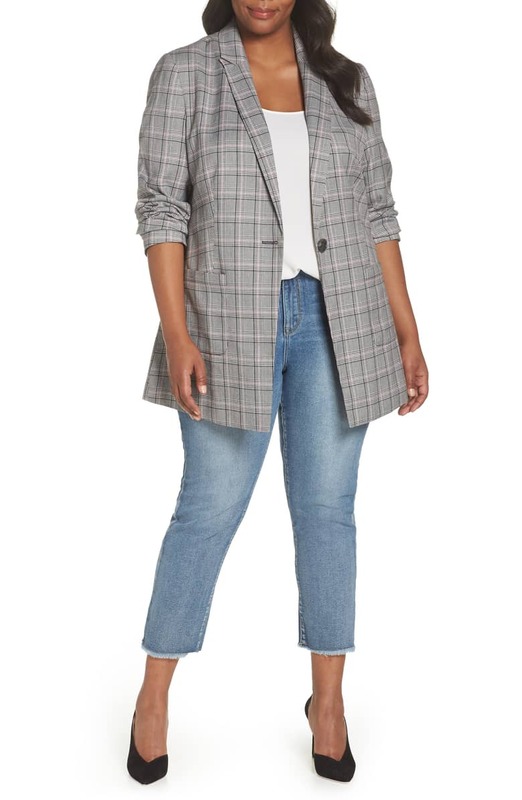 We are seeing an abundance of plaid plus size blazers, belted blazers, and even some cute stripe and polka dot options. Any one of these style would pair well with jeans, skirts, or pants. 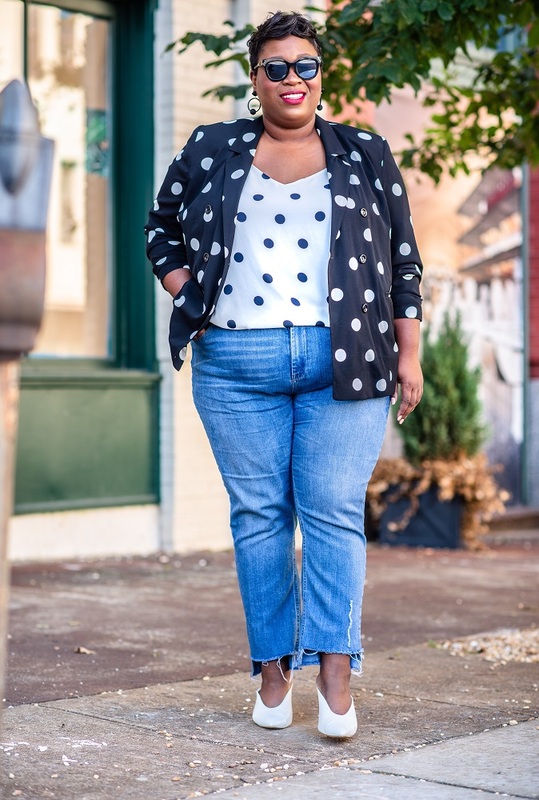 Blogger Jeniese from Jenesaisquoi created a mixed print look with a polka dot crepe blazer from Simply Be. She paired her look with jeans for a polished casual look. 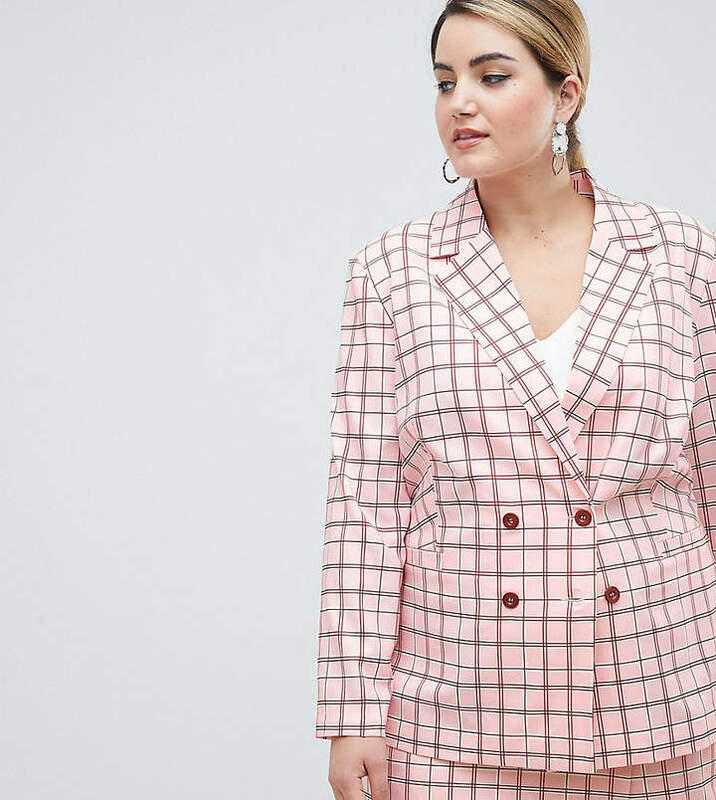 We rounded up some of the coolest and most stylish plus size blazers that can take you from the weekend to work. 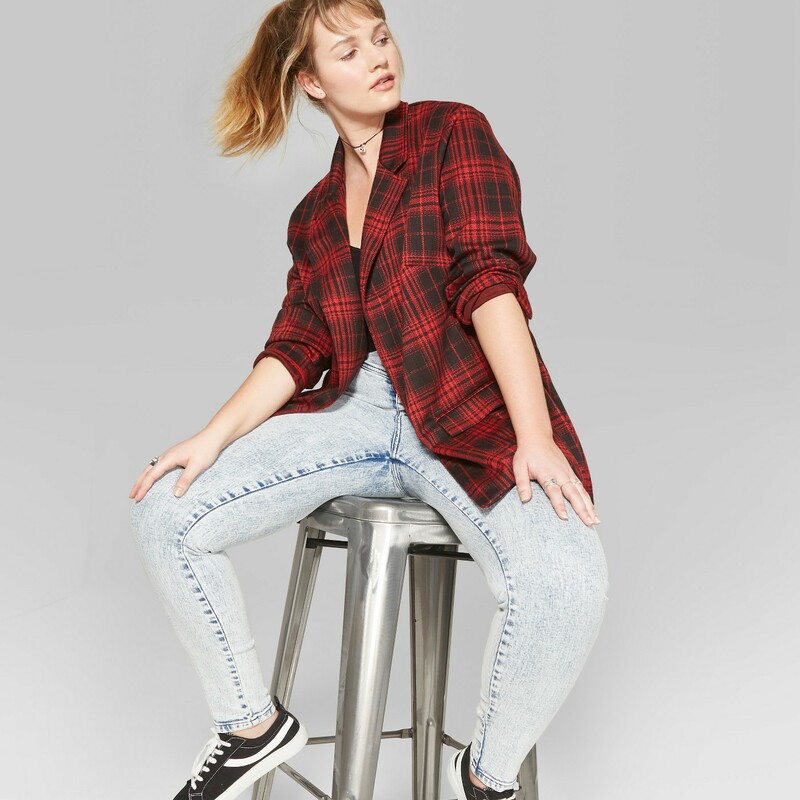 Add a basic tee or a feminine blouse under them for a more unique look. 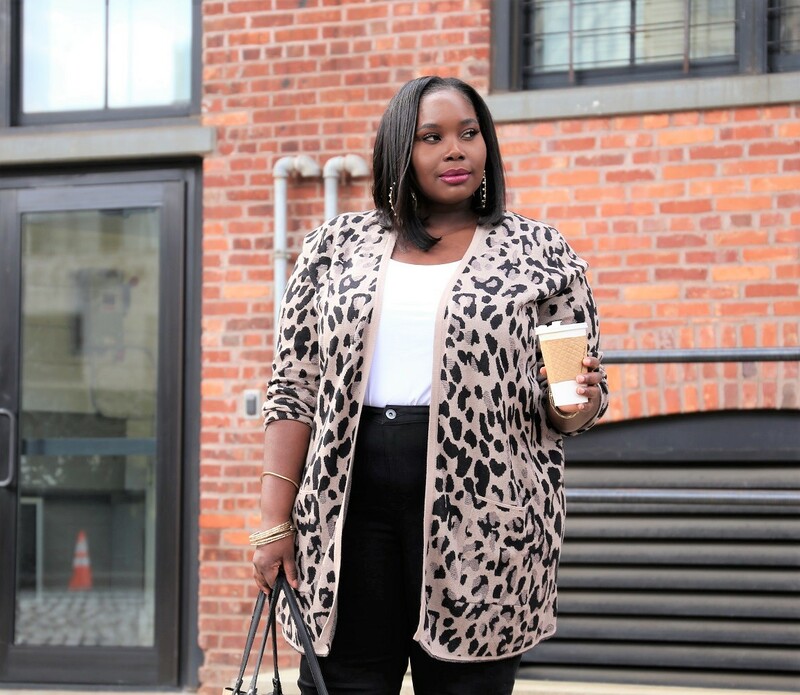 Pair these plus size blazers with with any and everything. You’ll have an easy look that will get you compliments every time you wear it. Which blazer would you rock? I’m going to have to pick up that polka dot one myself. I read this article and found it very interesting, thought it might be something for you. 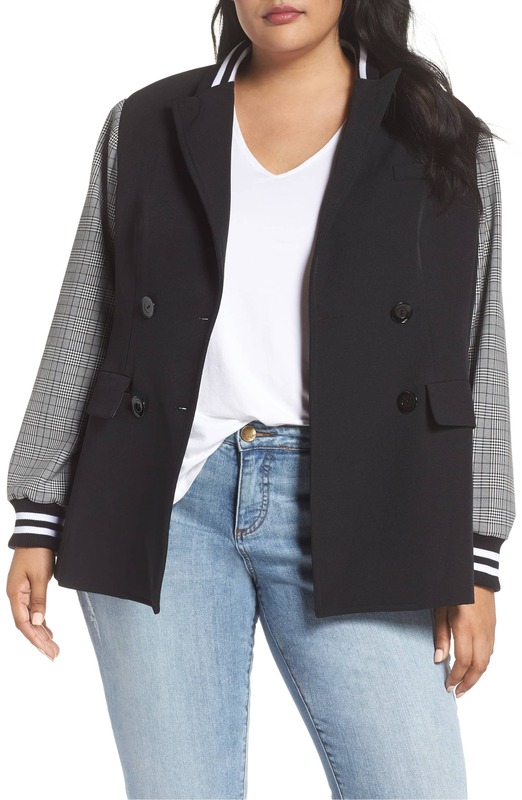 The article is called The Coolest Plus Size Blazers You Should Be Wearing This Fall Season and is located at https://stylishcurves.com/cool-fall-plus-size-blazers/. Admittely I jumped on the kimono bandwagon, but I still love a god blazer. I’m in love with that polka dot blazer though. I will diffidently keep it on my radar. 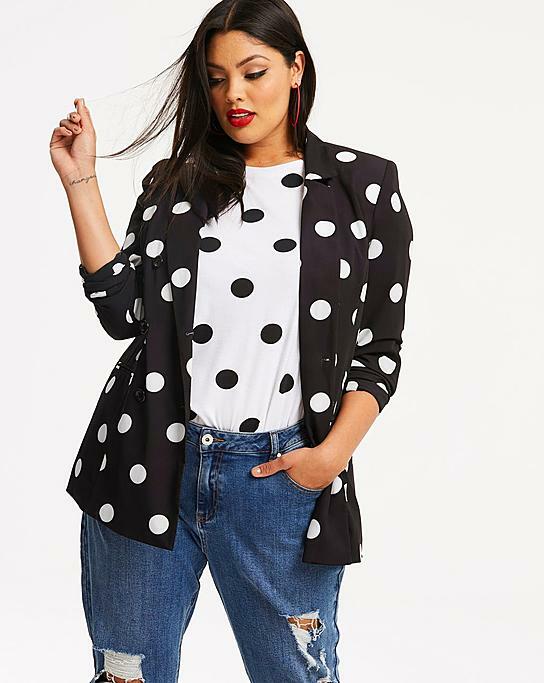 Love the dot on dot take & the denim blazer! !